The Open Water Course is conducted with small groups so that you get personalised instruction in friendly, comfortable surroundings. 4 qualifying training dives on fringing coral reefs around the Whitsunday Islands. 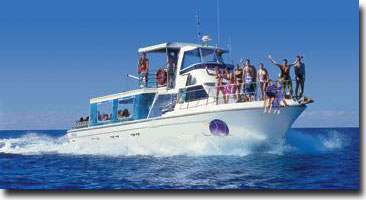 2 x full day dive trips to the best Whitsunday Island dive sites including visits to Whitehaven Beach. Daily vehicle transfers from your Airlie Beach accommodation to the Airlie Beach Training Centre and return. all diving and snorkelling equipment and personalised instruction. 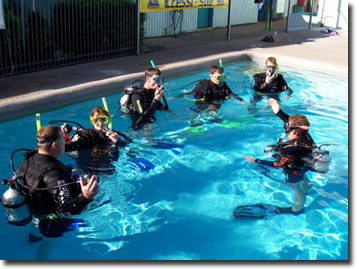 PADI Referral and Refresher Courses are also available. See below for details and enquiry form. To be able to do the referral course you must have first completed the pool and theory section of the Open Water Course with a qualified PADI instructor. You will also need to complete a Medical Questionnaire. The instructor will then supply you with signed PADI Referral documents which you must bring with you as well as your PADI manual and logbook which will have been issued to you when you commenced your training. 4 open water ocean dives on reefs around the Whitsunday Islands. If you haven't been diving for a while then a private refresher course is an ideal way for you to increase your confidence and comfort in the water. Once your enquiry has been received we will confirm whether places are available on the dates that you have chosen. You will then receive directions for payment of a deposit to secure your place on the course. The balance owing is paid when you arrive at the dive training centre.